You’re navigating a slippery slope that has the potential to put not one, but two people (and maybe more!) in an unhealthy situation. It’s likely you place your well-being at risk by your desire or need to help others, which can result in your inability to be an effective caregiver. Some would say you’re “launching ammunition into your own metatarsals.” It doesn’t make sense to care for someone else at your own expense when you can do both brilliantly! Unless you wear a red cape and there’s an S on your chest, stop the struggle, especially if it’s a recurring task you face frequently. Ask for help. Find a person or a product that can make those tasks easier. From time to time, get someone to fill in for you for a morning or afternoon, so you get a little “me” time. You’ve earned it. You deserve it. And you probably need it. Schedule time regularly to exercise and take breaks. Eat a balanced diet, and don’t feel like you have to rush through meals. Experts at caregiving should know better than anyone how to take care of themselves. Save some of that TLC for yourself! Whatever it takes—yoga, yoga breathing, meditation, a hot bath, exercise, play a video game, eat some chocolate, cuddle a pet, listen to music, take an occasional three-day get away from your daily routine, and watch or read something funny—anything that makes you laugh! Expect nothing. Be ready for anything. Life doesn’t always follow our lead. When something problematic happens unexpectedly, take a breath before you react. Someone once said “You’ll never know how strong you are until being strong is the only choice.” As a caregiver, you have to be strong every day. If something comes along that you can’t handle, read the top bullet again. If the secret to being happy is doing things for other people, you should be among the happiest people on earth. Yes, it’s difficult, exhausting, backbreaking, maddening, saddening, frustrating, sometimes anxious, often thankless, always with you…and priceless. Take a moment to think about where the world—and someone you love—would be without you and people like you. Keep the reasons why you spend every day caring close to your heart. Admire, respect, appreciate and love yourself for what you do as much as the people around you do, and feeling good about yourself should become second nature. This recommendation doesn’t require much explanation. Get thyself to a doctor regularly, and especially when your body tells you something is wrong. Don’t wait until you need a caregiver of your own. Stay organized with a list of names and phone numbers for neighbors, nearby friends, doctors, pharmacists, and anyone you’d need to contact in an emergency. Consider joining a support group—you’ll get great tips on coping from other caregivers and, perhaps, strike up relationships with experienced individuals who can help you out from time to time. If you care for a person who uses a wheelchair, think about purchasing or renting a wheelchair van to make travel (doctor’s appointments, running errands, etc.) incredibly easier. Delegate household chores to other members of your family or hire someone if it’s within your budget. Be sensible about how much of your time and yourself you can give, and make sure everyone—family members, doctors, and anyone else involved—is aware of your limitations. An “S” on your chest means nothing when kryptonite is around. 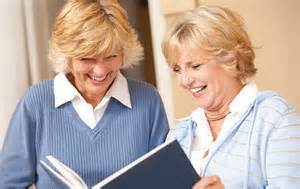 Respite care is essentially care for the caregiver. Have another experienced caregiver or a capable family member come in for as little as a few hours a week so you can run errands or a few weeks during the year so you can take a well-deserved vacation. Here’s where your participation in a support group might come in handy. Restore your energy, ease stress, and keep your life in balance. This is another recommendation that doesn’t require clarification. You may not require eight hours a day, but get as much as you need. Falling asleep on the job can be, let’s say, counterproductive and downright dangerous. Zzzzzzzzzz! From those of us who watch and wonder how you do it, thank you. For everyone’s sake, please take care of yourself.